What road is it that is paved with good intentions? I am chalk full of good intentions… and also exceptionally forgetful. I originally attempted to purchase red paper plates for this craft. I saw them in the store, and thought Yessss! But either I forgot to actually buy them, or they are in a really safe place somewhere. At any rate, I was committed, so I actually made a separate trip to another grocery store, and got a package of plain white paper plates. 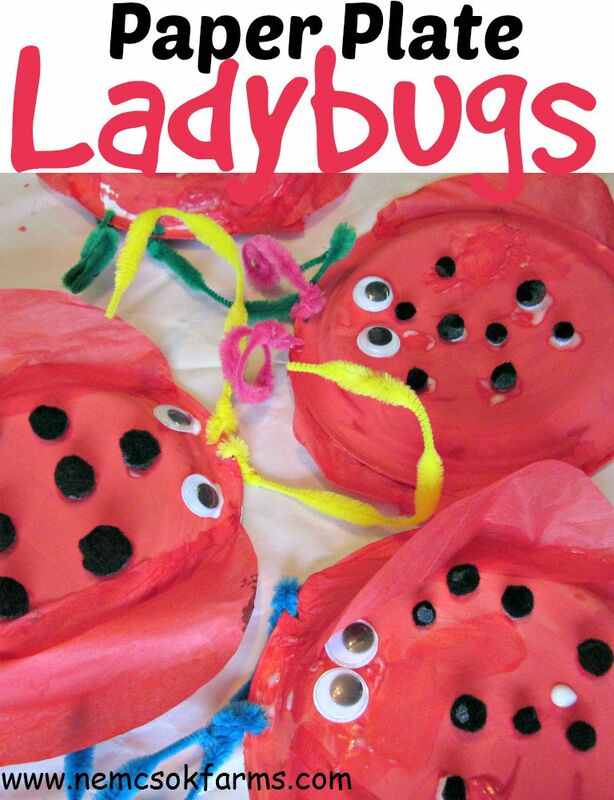 But really, what wouldn’t you do for a cute ladybug craft? 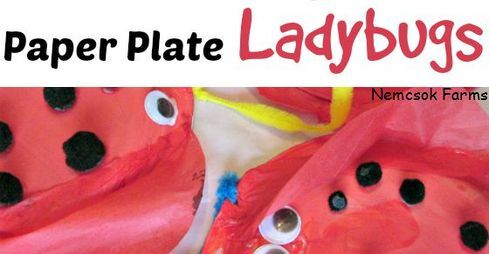 We have added to our bug craft repertoire with these bright and cheery Paper plate Ladybugs! A super fun and really cute bug craft for the kids. Read on to see what we used to make them, and how we put it all together. 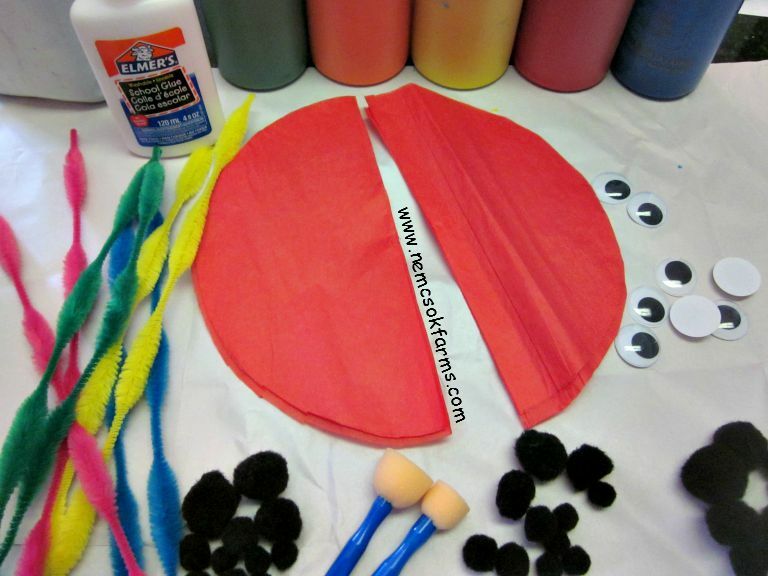 Trace the paper plate onto a sheet of tissue paper. Cut out the circle, and cut down the centre to make wings. Check out our other Eco-Friendly crafts, like these Gift Paper Frogs and these Juice Jug Snowmen. Whip up some Ice Lanterns and get ready for spring with these Egg Carton Bees! If you enjoyed this post, you will love our book, Green, Crafty & Creative. Featuring 70 family and environmentally-friendly tips, crafts and activities from 10 different contributors, it is full of awesome inspiration for Earth Day fun. Green, Crafty & Creative is available for purchase in e-book, paperback and Kindle formats, starting for as low as $4.99.